Data center consolidation lowers operational expenditures and reduces facility costs. However, it can extend the distance between users and information, which hurts application performance and employee productivity. By fixing WAN performance issues, Silver Peak lets you locate data centers wherever it makes the most business sense without worrying about the impact of poor network performance on application behavior. The Greenery trading company is a leading European market supplier of a full range of fresh fruit, vegetables and mushrooms and offers a package of support services including logistics services and marketing activities. Focused on international retail customers, the company is primarily active in the Benelux countries, Germany, the UK, Southern Europe, Scandinavia, Russia and Central Europe, North America and the Far East. 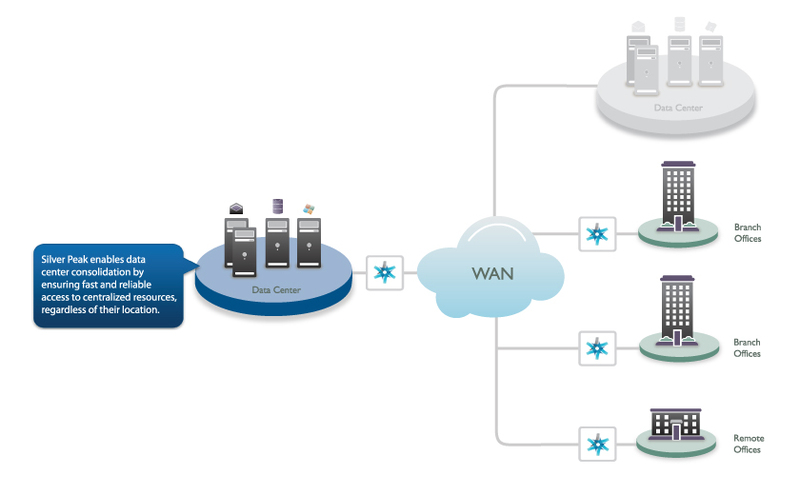 Data Center Interconnect (DCI) initiatives use technologies such as Cisco's Overlay Transport Virtualization (OTV) to extend data centers across locations. But in order for DCI to be effective, IT must address the bandwidth limitations, high rates of packet loss, and increased the delay of the WAN separating those locations. Data acceleration and WAN optimization, in particular, compensates for those challenges, enabling architects of software-defined data centers to meet DCI initiative.